FORT LAUDERDALE, Fla. -- Florida has eclipsed California to become the state with the highest number of consumers buying health coverage through new insurance markets under the Affordable Care Act, according to federal statistics released Wednesday. Florida's roughly 1.6 million enrollees include both first time buyers and some of the nearly 1 million Floridians who enrolled last year. California led the country last year with 1.2 million consumers, but lagged behind this year with a total of 1.4 million -- 300,000 fewer than the state's goal. The state has struggled to target hard-to reach populations including Latinos. 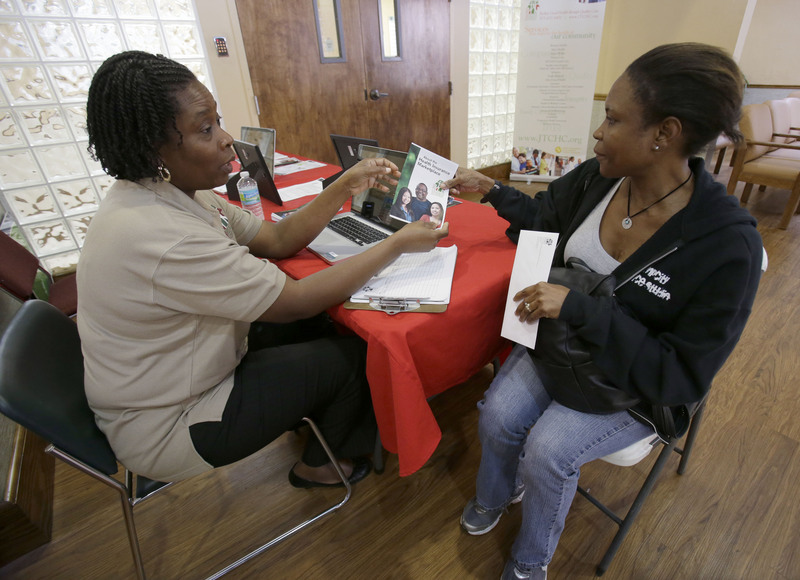 How does Obamacare affect tax returns for this year? Florida's enrollment win comes despite significant Republican opposition in the state and a much smaller population than California, which has embraced the law, spent millions on outreach efforts, and established its own state exchange. According to the U.S. Census Bureau, 3.8 million of Florida's 19.5 million residents were without health insurance, making it the third-highest in the nation at 19.5 percent. By comparison, 6.5 million of California's nearly 38 million residents were without health insurance, about 17 percent. Florida's high numbers show the pent-up demand for insurance. Florida's roughly 20 percent of uninsured residents ranks it behind only Texas and Nevada. Texas had a rate of 22.1 percent and Nevada's was 20.7 percent. California came in ninth, according to figures released by the U.S. Census Bureau last fall. Florida's Republican lawmakers have strongly opposed Medicaid expansion, which would provide coverage to an estimated 1 million additional low-income Floridians. In contrast, an additional 3 million Californians gained coverage due to Medicaid expansion. Last month, Indiana became the 28th state to agree to expand Medicaid, and the latest state with a Republican governor to do so. At least 9.7 million people have gained coverage through the law's Medicaid expansion, which targets low-income adults with no children living at home. Florida hospitals, health advocates and a growing part of the business community have made numerous efforts to pressure key Republicans to expand the program during the legislative session which begins next month, but it again seems like a non-starter. House Speaker Steve Crisafulli says there are no plans to consider Medicaid expansion during the upcoming session. And it is unlikely supporters will get any help from Gov. Rick Scott, who entered politics running ads against the health law. He said it's not one of his priorities, but won't stand in the way if the Legislature makes a move. Florida overtaking California fits into a broader national pattern. In 2015, the enrollment growth was driven by the federal HealthCare.gov, according to the market research firm Avalere Health. Enrollment increased by 58 percent in the 37 states served by the federal market, compared to a 9 percent increase among state-operated exchanges such as California's. "It's not surprising that some states are catching up," said Anthony Wright, executive director of Health Access California, a consumer coalition. "We had a good first year, but other states are catching up." Nationally, about 11.4 million signed up before the second enrollment period, which ended Sunday. They did so with relative ease compared to the first year's rollout, which was plagued by technological difficulties. The total number puts the Obama administration ahead of its nationwide target of 9.1 million people enrolled and paying premiums in 2015. But some experts say it is still too modest. Nonpartisan congressional analysts have estimated 12 million people will sign up in the new insurance markets. "We often say that this is really a five-year implementation. It takes time to implement something that is complicated and has a lot of moving pieces," said Kevin Counihan, chief executive officer of healthcare.gov. The nonpartisan Congressional Budget Office estimates that this year there will be 19 million fewer uninsured Americans than if the law had never passed.